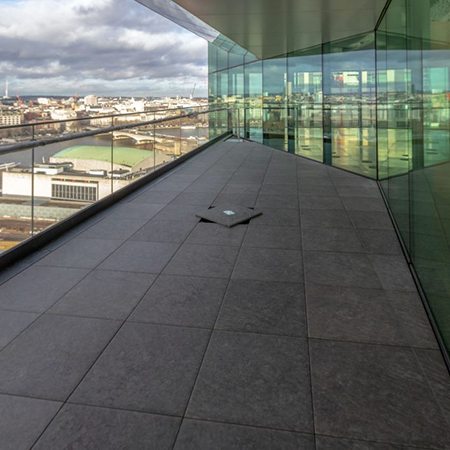 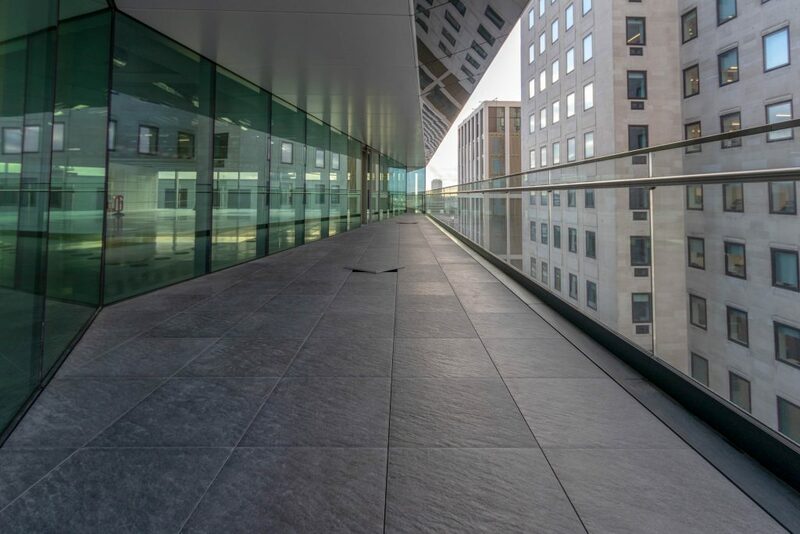 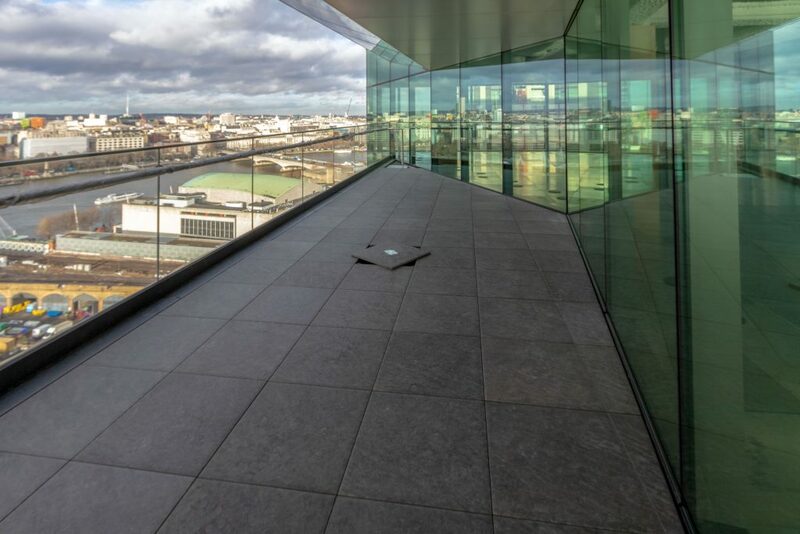 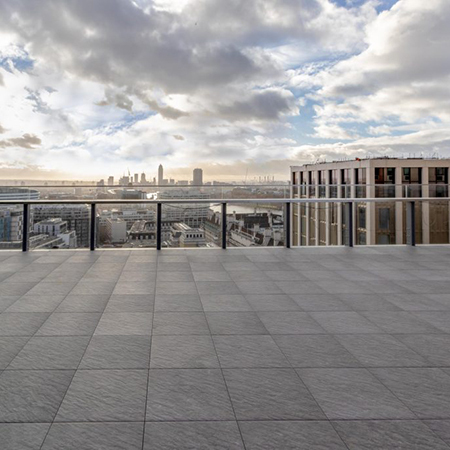 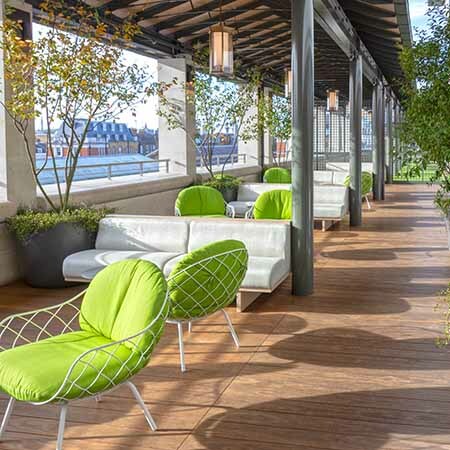 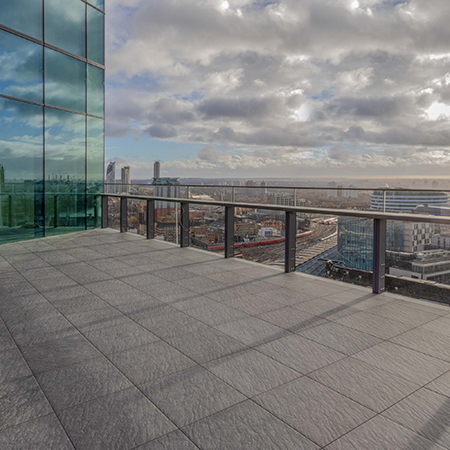 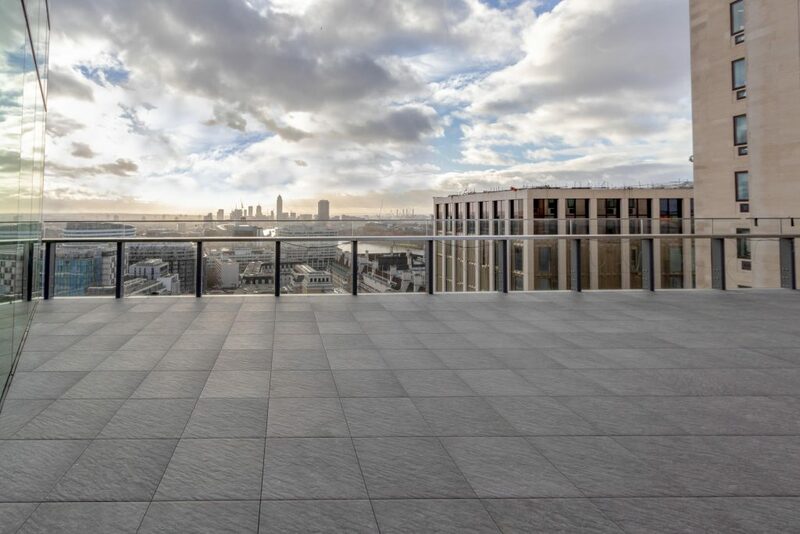 Alfresco Floors have supplied and installed 1000m² of their Fresno Falla porcelain pavers on to the Buzon PB pedestal system at Southbank Place in London. 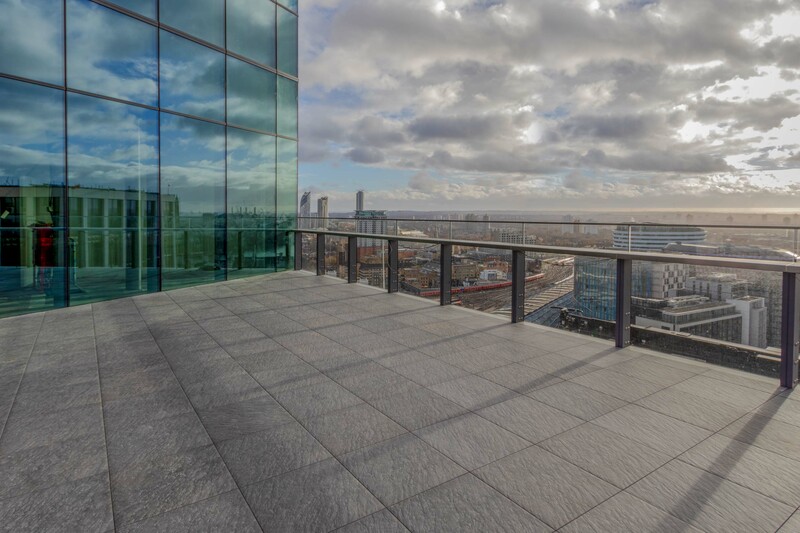 The completed development will feature seven new buildings including residential space, state of the art offices and retail. 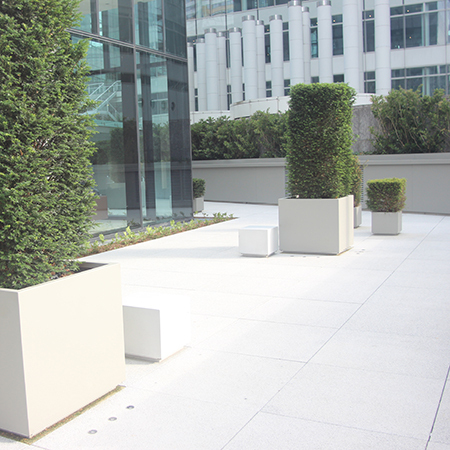 The broad head of the PB polypropylene pedestal is specially designed for use with all ceramic paving. 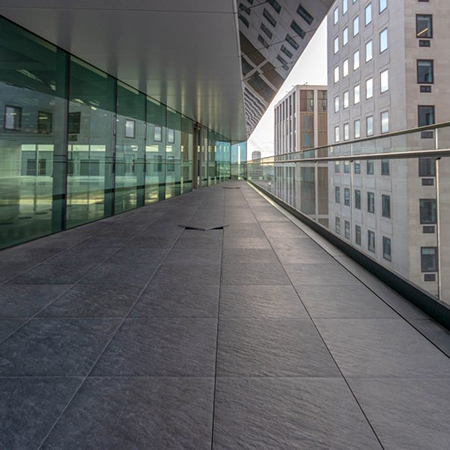 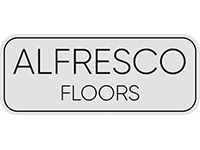 Alfresco Floors’ double depth 20mm porcelain tiles are specifically made for use outdoors, their exceptional strength means fast and foolproof installation.